Well this is interesting. Typically when I see a 911 like this one I assume it’s some variant of a backdated 911SC or 3.2 Carrera. The value of most long-hood 911s is such that modifying an original car would be as useful as setting money on fire and much less efficient. But this is a bona fide 1972 Porsche 911S. 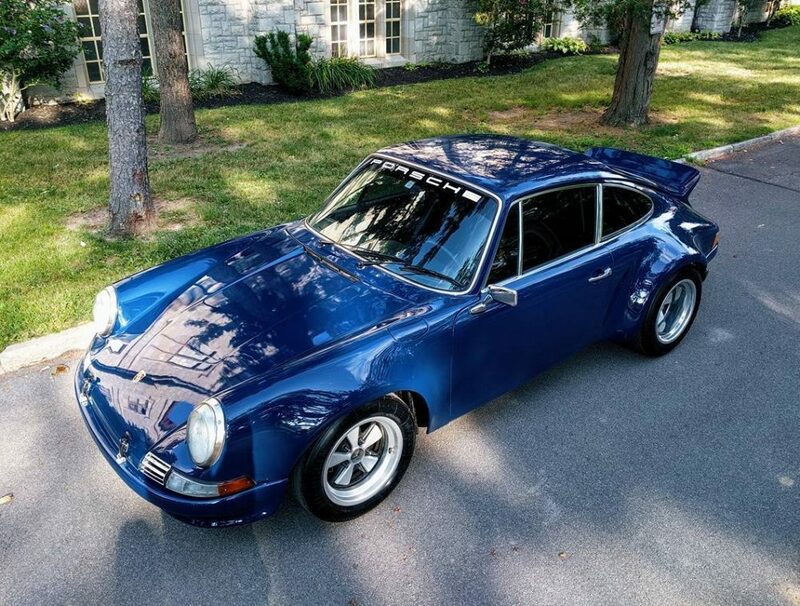 So not only are we looking at a modified early 911, but it’s an S. Add to that the uniqueness of the ’72 911 with its one-year-only external oil filler and this is a pretty rare find. 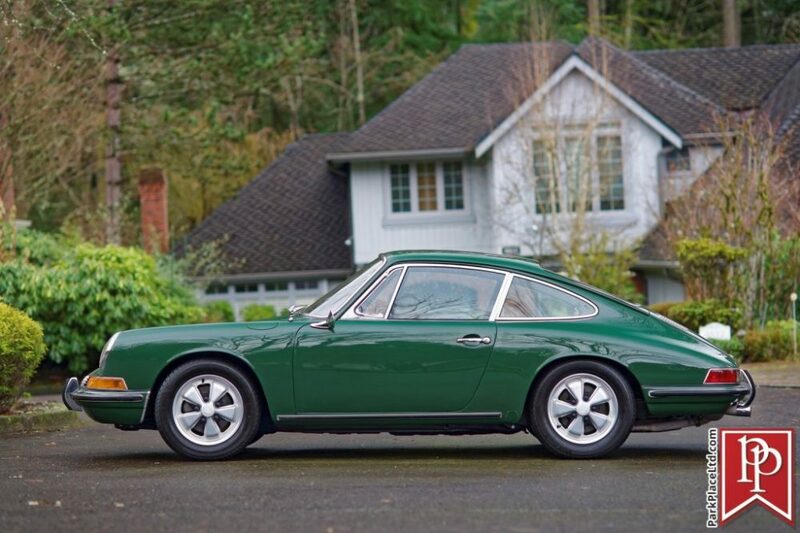 From what the current owner has been able to gather it sounds like the conversion of this 911 happened long enough ago that investment potential wasn’t really of much concern. So modifications could be carried out with fewer worries. On the flipside it also means we don’t really know a lot about how this 911S arrived at the state in which it currently sits. That’s a little bit of a problem, but from the owner’s comments while we may not know how it got here we do know it drives very well. It also looks pretty great! 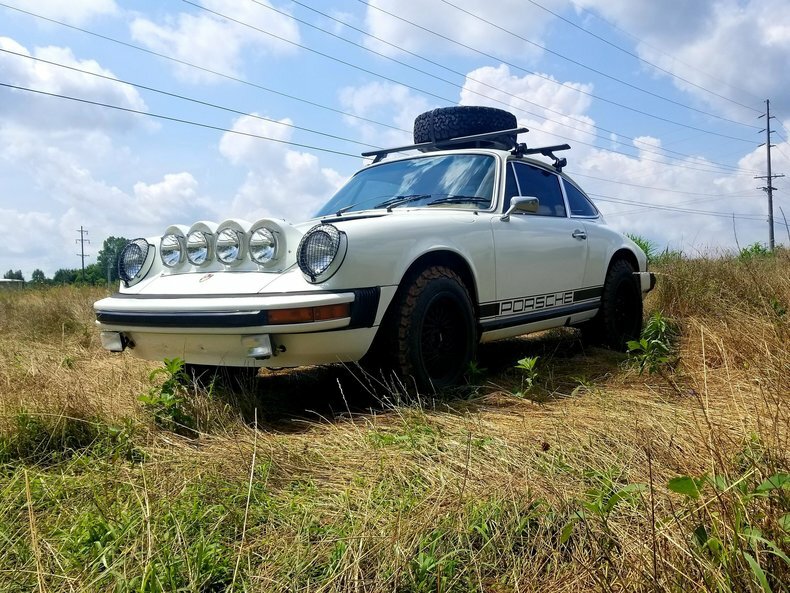 A couple days ago I featured a 911 that had undergone a bit of a transformation into what we might best describe as an off-roader. I thought it seemed like a potentially interesting project, but in its present condition seemed somewhat incomplete. The pricing also didn’t seem great all things considered. Here we can look at something similar though nearly the opposite. 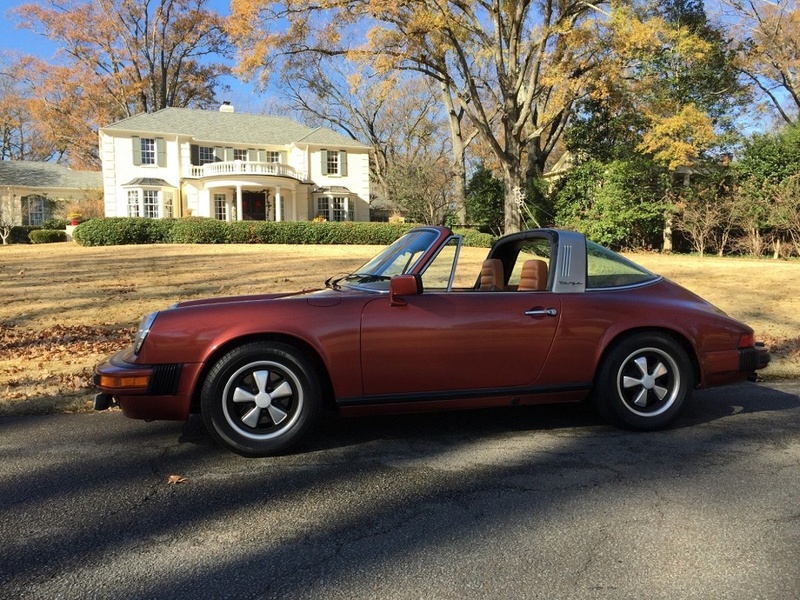 This is a Burgundy Metallic 1977 Porsche 911S Targa and unlike the 911S Safari, as it was dubbed, this one appears in nearly original condition, was under long-term ownership, has very low mileage, and looks pristine. At its best, this is what a mid-year 911 can look like. As I noted in the Safari post, the general lack of desirability of these models makes them good candidates for unique projects. With this one maybe we’ll see just where the market presently lies for an original example. 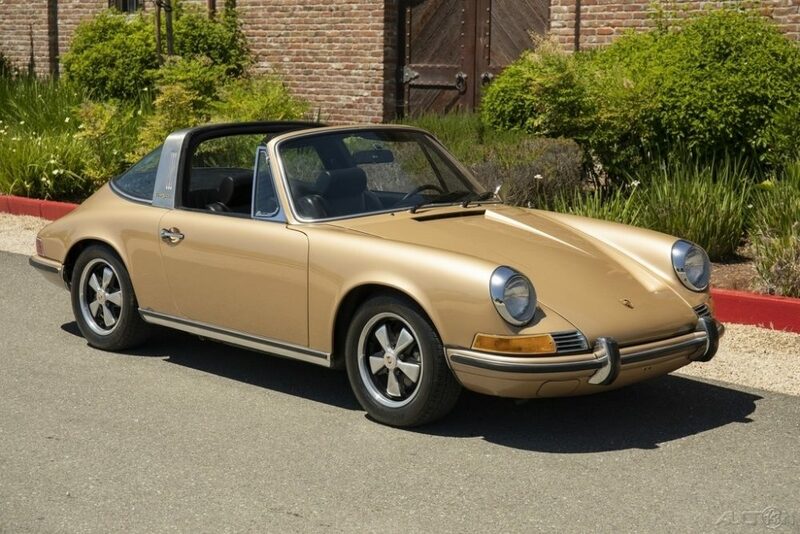 I won’t proclaim this as the greatest 911 in the world or anything of that sort, but this 1971 Porsche 911S Targa does check a lot of the boxes for what we might look for in an early 911 when not looking for absolutely pristine collector-quality condition. It is coming out of long-term ownership as the current owner has had it since 1974 and it is in mostly original condition. It is numbers matching per the CoA and has had one repaint in its original color of Gold Metallic. The interior is mostly original with only the carpets having been replaced and shows a nice looking set of sport seats. The color itself is an uncommon one and certainly has its fans. Overall everything looks in very good shape and the level of originality here appears quite good. Oh, and of course it is the highly desirable 911S. It doesn’t pop off the page the way some early 911s do, but it definitely shows as one of the better and probably more original examples we see. 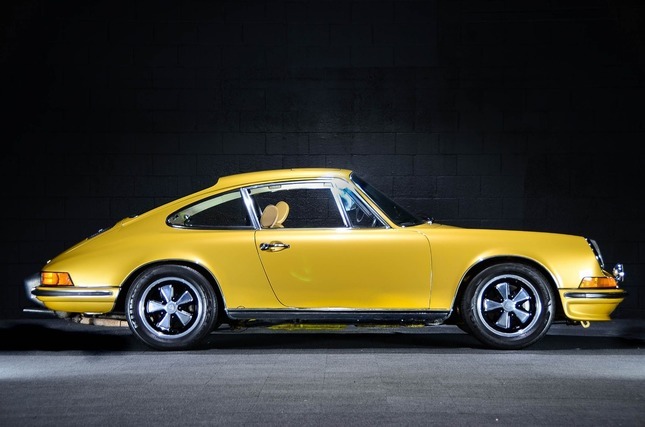 I’ve got a couple more yellow 911s I’d like to feature. 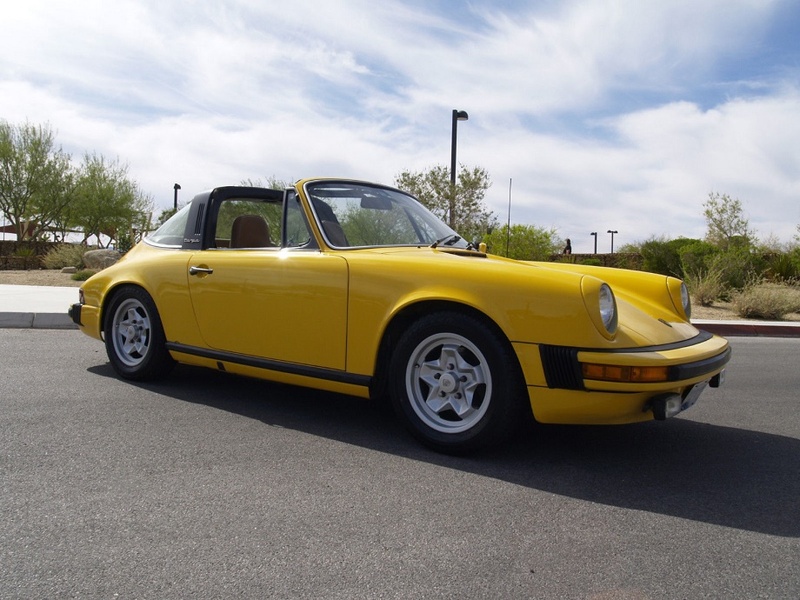 This one in particular possesses a strong resemblance to the Summer Yellow 3.2 Carrera featured Wednesday. 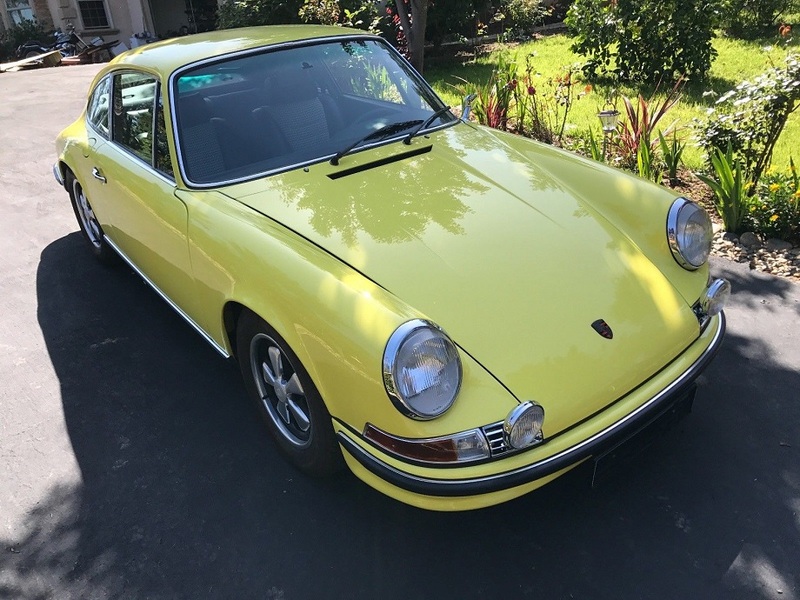 This 1972 Porsche 911S Coupe would not be the same color (Limonengelb), but it’s still quite similar. We aren’t told the color code of this one, but I suspect it is either Lemon Yellow/Canary Yellow (Zitronengelb) or Light Yellow (Hellgelb). Two very similar colors and very difficult to distinguish in the shade. Both are very attractive as evidenced by this 911S. It feels like forever since I’ve featured an early 911S and this is a particularly nice example for me to return to them with. It’s been fully restored and looks immaculate right now. It shows a black interior containing sports seats with houndstooth inserts. It doesn’t get much better than that for the seats and they complement the exterior yellow very well. Original mileage is unknown, but the listing states the current mileage as 500, which I assume is the number of miles traveled since it was restored. It’s been a little while since we checked in on the market for the mid-year 911. Mostly that’s due to not frequently coming across particularly desirable examples. As one of the least loved of the air-cooled 911 range, and with performance and reliability concerns being largely responsible for that lack of love, these simply aren’t models that owners tucked away, using only for weekend cruising, or models that restorers have had their eye on returning to former glory. This one is an exception. It has been fully restored and even though that restoration occurred seven years ago it still looks in wonderful condition. It’s also a nice color combination even if dark green metallics tend to attract less attention than other available colors. For those who are fans of dark green though – and I count myself in that group – I think this combination should have a good deal of appeal. The asking price strikes me as a bit high, but, again, I haven’t had a good eye on the market so a nice example could be capable of fetching this value. We shall see. 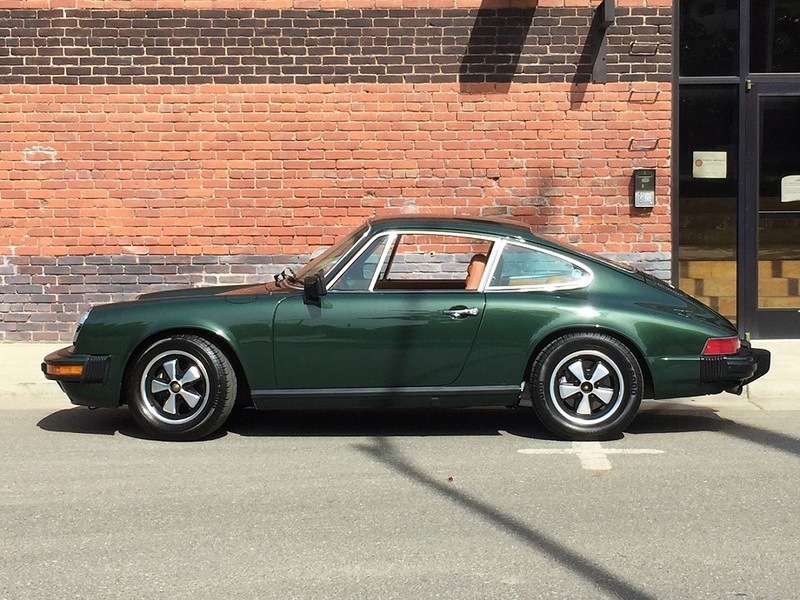 Let’s take a look: here we have an Oak Green Metallic 1977 Porsche 911S Coupe with Cork interior. I wasn’t really looking for this 911, but it was impossible to pass by. This actually makes two straight posts of 911s too striking and pretty to ignore. 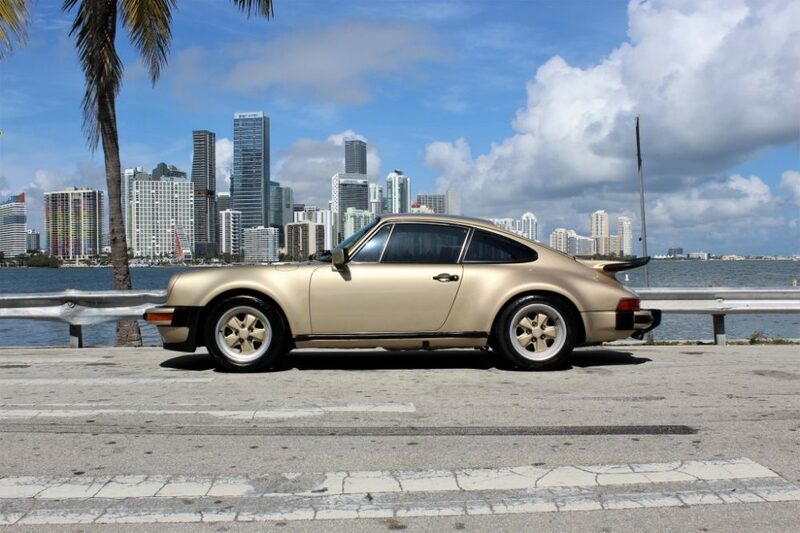 Here we see a Gold Metallic 1973 Porsche 911S Coupe, located in Massachusetts, with Tan leatherette interior and a claimed 71,721 miles on it. It has sports seats and a sunroof. It also is said to be well documented with records going back to its inception. It looks stunning!